Have you ever wanted to create your own hockey card, but didn’t have the graphic design know-how to make that possible? I recently found out about Sportsnet’s Card Creator, a website where you can easily create your own free hockey cards in seconds. 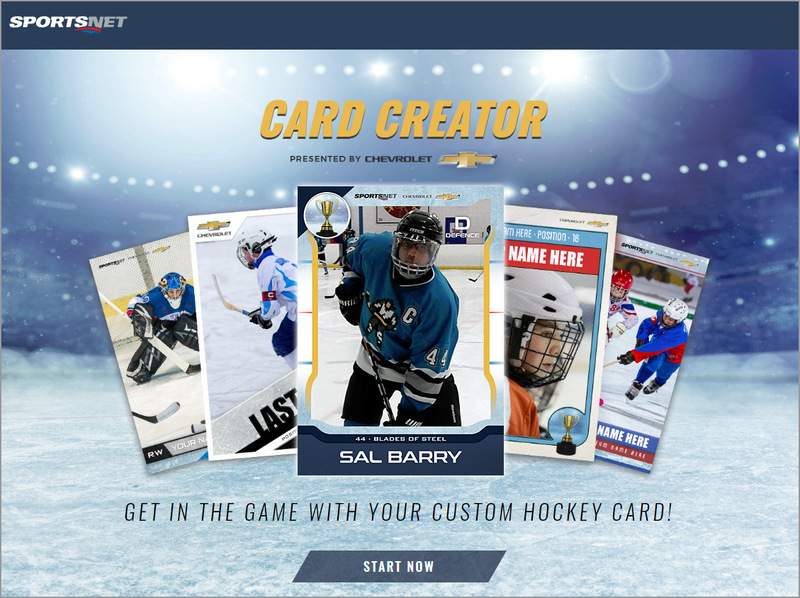 While I’ve designed many of my own custom hockey cards in the past … Continue reading "Make a Custom Hockey Card in Seconds"